Explanation: Early Tuesday morning, December 7th, June Croft thought the southeastern sky above Atmore, Alabama, USA was beautiful. Watching the Moon rise through gossamer clouds, she noted, " ... the crescent Moon looked like it was held in the sky by a star just off its shadowed horizon." What was that star? Bright Jupiter of course, and some watched as the Moon actually occulted or passed in front of the Solar System's reigning gas giant planet. 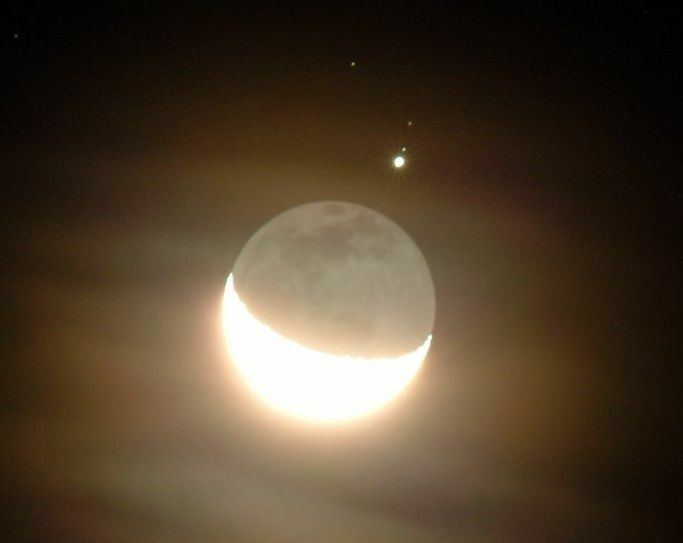 For astronomer Jimmy Westlake in Colorado, Jupiter was already hidden at moonrise that morning, but later he was able to record this lovely image, not unlike the view that inspired Croft. 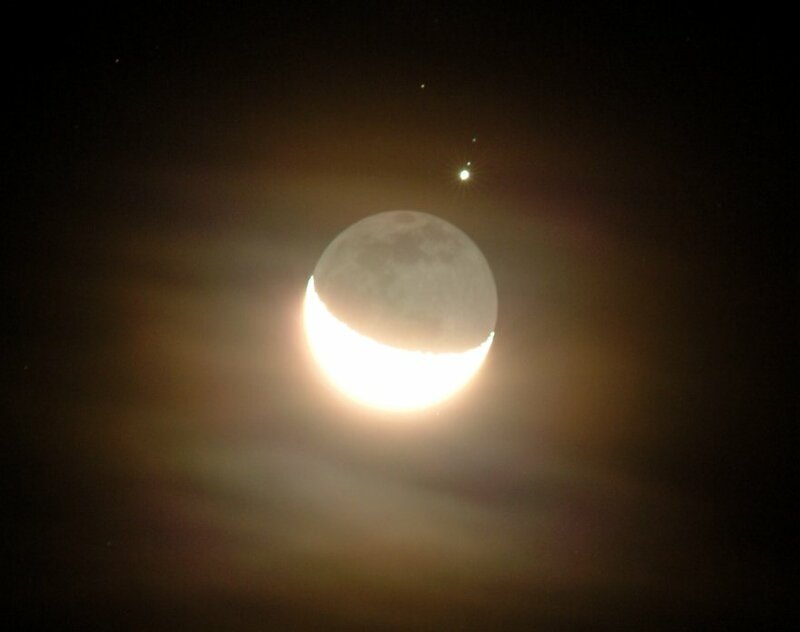 Seen through gossamer clouds, Jupiter along with large Jovian satellites Ganymede and Callisto (bottom to top) has emerged from behind the crescent Moon's shadowed horizon.